We know from experience that when dogs are positively approached (during an exercise or training), they are motivated even more to do their best. With a tasty reward each dog works with more fun and attention. In the education or training of a puppy or an older dog,they can be used as a tasty, but healthy reward, they can also be used as a natural way to make your dog happy. During dog sports like flyball, agility or tracking, tasty rewarding snacks will give your dog more fun in the completion of the task. But even if you do not go to dogsports, the Farm Food Trainer is an ideal small treat to get and keep the attention of your dog during a walk! 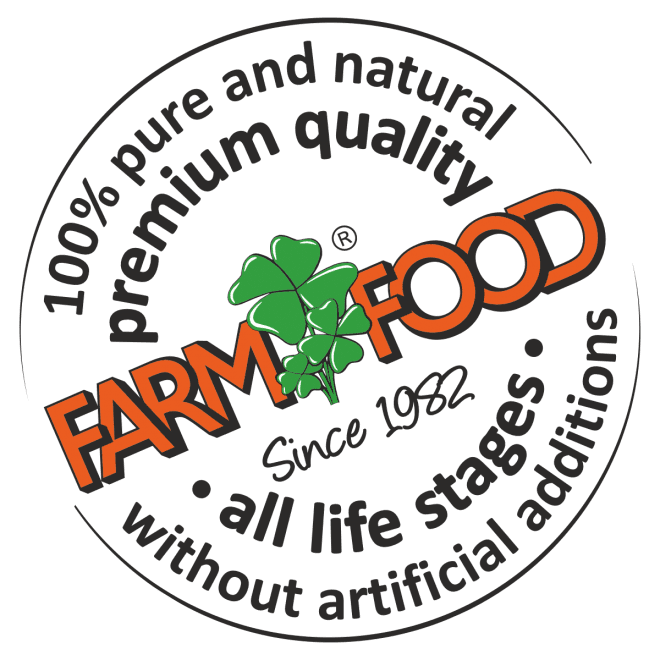 Farm Food Trainers are not only extremely appetizing for your dog, they are also healthy and it is also free of additives. Farm Food Trainers are small, hard, very tasteful pieces of dried beef heart . You can easily store several pieces in a bag inside your jacket or pants pocket without crumbling or become sticky. And as a trick during training or your daily walk we have a handy Farm Food waist bag, in which a little canister of Trainers easily fits! Ideal for training and rewards for both puppies as well as older dogs. have an irresistible natural scent and flavor to dogs. are produced without additives such as antioxidants, preservatives, colours, scent and flavours. are made of 100% pure beef heart and air dried, that will keep the natural scent and flavor of the meat optimally preserved. are gluten-free, easily digested and fit well as a tasty and healthy treat into each feeding schedule. can be combined with Farm Food Fresh and Farm Food HE. are made of 100% pure meat and therefore very suitable for dogs, cats, rats and ferrets. Available in a resealable canister, with a content of 80 to 90 grams & canisters with a content of 333 grams. 100% Pure bovine heart, without any additives. Produced in The Netherlands.